Update 25-08-05 - The window on this page was restored using Hindsight which is a very good product that we highly recommend, however we no longer use Hindsight, and instead use Renovo® Plastic Polish as in our opinion it produces the same results but is easier to use, more easily available and works well with a machine polisher - it's the machine which is the real secret to our success! 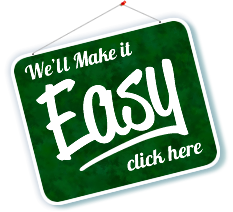 We still offer the window restoration service at the same price and level of service. 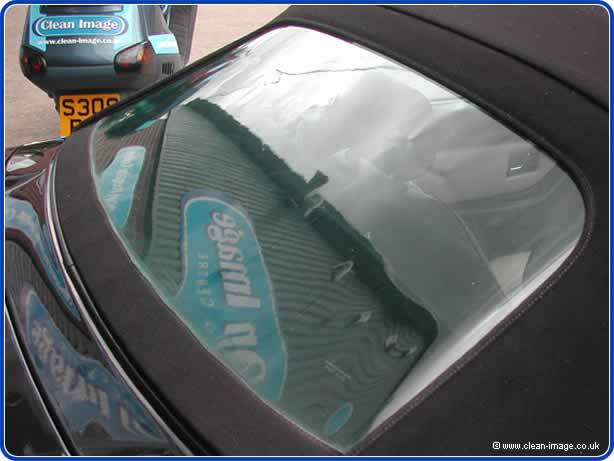 The rear plastic window in this MG sports car had developed a very green tint, and the large amound of fine scratches can clearly be seen around the edges, along with some cloudiness. 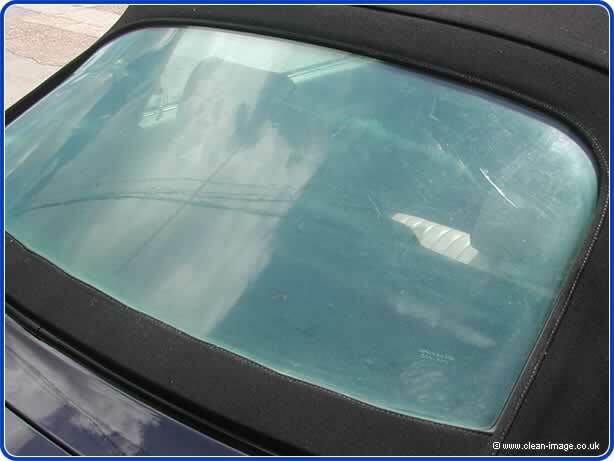 This made the rear screen very dificult to see out of, especially when the sun or bright lights shone through it, because the scratches caused refraction. As you can see from this photograph, there has been a dramatic improvement. If you look through the window at the top right hand corner of the screen, you can see the inside door panel no longer looks green. Hindsight is hard work, but the results speak for themselves, and we have found it gives an 65-90% improvement on most plastic windows, although we have had a couple of cars which were beyond help. Not all windows can be done, we have found that if the cloudy opaque areas have progressed too far, the improvement atchievable is not worth the money or effort, if this is the case, then it may be better to get an upholsterer or trimmer to replace the screen (see our directory page for a list of recommended car trimmers). If your hood or rear window is too far gone... you could have it replaced or repaired by a coach trimmer.